Medical professionals, due to their extensive training, are typically held to a higher standard when dealing with their clients, as compared to the duty store operators have to customers. It is because of this higher standard that patients trust their medical professionals to ensure that no harm is done to them during the course of the physician-patient relationship. However, when this trust is broken, and harm befalls the patient, the patient may be best served by retaining an experienced medical malpractice attorney to obtain just compensation for any losses. Recently, this country has begun to confront the prevalence of prescription opioids, and the damage it has done to some individuals. Accordingly, medical professionals are being held responsible for not fully monitoring the effects of prescription medication, such as a physician in Iowa who had his medical license indefinitely suspended for providing inappropriate pain management care. Given that medical professionals are expected to understand the effects of the medication they prescribe, and to monitor its effect on their patients, failure to do so may be grounds for medical malpractice. A discussion of medical malpractice claims, in light of the failure to monitor prescription medication, will follow below. Generally, medical malpractice occurs when a medical professional does not act according to a predetermined standard of care, and an injury results. This predetermined standard of care represents the degree of care and skill of an average medical professional who practices the defendant’s specialty, taking into account the advances in the specialty and resources available to the defendant. 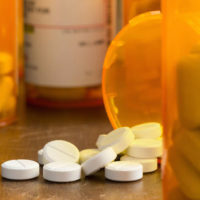 Specific to a failure to monitor prescription medication, success in a medical malpractice matter involves proving that the defendant did not act reasonably in treating the patient. In other words, the defendant’s actions failed to reach the predetermined standard of care, and, as a result, the patient suffered injuries. medical textbook advice on treating the condition. What this means is that, in order to determine whether a prescription medication was improperly monitored, a detailed analysis of both the patient’s medical history and the medical professional’s records must be completed, and an experienced medical malpractice attorney can develop a strategy to successfully complete this analysis. Nevertheless, merely because a patient becomes addicted to prescription medication is not medical malpractice, per se. For example, if a medical professional prescribes an opiate-based medication for pain, and the patient failed to tell the professional about his/her previous drug addiction, this omission would most likely exonerate the medical professional from liability. If, however, the patient did inform the medical professional, and he/she did not find a non-addictive substitute, then, unlike above, the medical professional could more easily be found negligent. As another example, if a medical professional renews prescriptions, without confirming its effect on the patient, he/she will most likely be found negligent. If, on the other hand, the patient fabricates pain symptoms to obtain a renewal of the prescription, the medical professional may be exonerated. If you, or someone you love, has become dependent on prescription medication, contact a medical negligence attorney as soon as possible. The Miami attorneys at the law firm of Pita Weber Del Prado have the experience in medical negligence that can determine whether the addiction is the result of improper monitoring by the medical professional, and, if so, will work to determine the best strategy to get you the compensation you deserve. Contact our Miami office today for an initial consultation.